When 3D printing originally exploded onto the technology scene worldwide, it was recognized as an incredible new tool for innovation and was and has continued to be embraced wildly, despite operating at excruciatingly slow speeds to begin with, offering the ability to print something, but have it in your hands…tomorrow. Well. That’s certainly changed. While high precision and reliability are key, speed is on the priority list for every manufacturer these days, along with offering standalone machines, mobile apps so that you never have to get off the couch or come home from the beach just to check on a print, as well as prices that have dropped significantly. Recently, those attending a 3D printing exhibition in Tokyo were able to catch a glimpse of what currently holds the title as the world’s fastest 3D printer. Manufactured by South Korean company Carima, the C-CAT (for Continuous Additive 3D Printing Technology) new printing technology was displayed in the form of the ‘Imp’ model–a 3D printer to be released this year, geared toward industries such as jewelry, dental, and more, offering great flexibility and latitude for users in terms of materials. The original design was shown off last year at EuroMold, wowing crowds with its super speed and high accuracy, all which occurs with continuous printing. Carima holds a patent for this DLP technology, which has already been ranked as the 7th best industrial printer worldwide. Carima has so far been exporting it to Asia, Europe, Egypt, and other areas. Currently, the company offers a product lineup with the DP110E (with a build size of 110 x 82 x 190 mm) for offices, and EV models, such as the Master EV (with a build size of 200 x 112 x 200 mm), for industrial 3D printing. C-CAT technology can print 60㎤ per hour with layer thickness of 0.001 mm. It offers incredibly fast technology compared to existing speeds of printing 2~3㎤ per hour with layer thicknesses of 0.1 mm. With the Imp being released soon, users will be able to look forward to printing at super high speeds and working with plastic materials, those that are more flexible, and casting wax. Founded in 2000, this innovative company has received numerous accolades and achievement awards all along the way. Carima also offers 3D printing services in Korea, allowing users to simply email files, choose materials and the specific printing size for their models, which are then shipped. 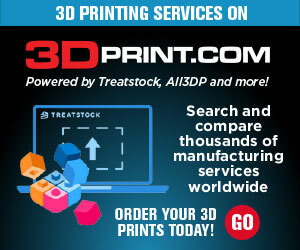 Discuss your thoughts on this hot new technology in the Fastest 3D Printer in the World forum over at 3DPB.com.